Welcome to Critic's Notebook, a quick and off-the-cuff car review consisting of impressions, jottings, and marginalia regarding whatever The Drive writers happen to be driving. Today's edition: the 2018 Chevrolet Silverado Centennial Edition. Malcolm Gladwell is often quoted as saying it takes 10,000 hours of repetitious practice to truly master a craft. He's wrong, for what it's worth. 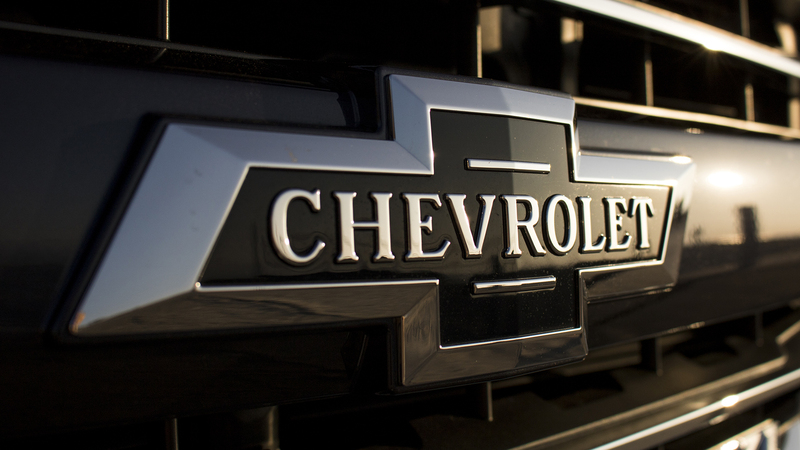 But regardless of your opinions on pop psychology, Chevrolet has been building full size pickup trucks for approximately 876,000 hours—that's a hundred years—and it's safe to say the automaker has gotten pretty damn good at it over the last century. Ah, last century. Those were some good times, weren't they? Better music, leaded gas, and a tolerance of inefficiency that made life more interesting. And just as America spent many of those golden decades with top billing on the global stage, Chevrolet placed itself in the center of a car-crazed culture and grew into one of those companies whose mere existence is intractably intertwined with our national sense of self. Its midcentury go-go years spawned iconic models like the Camaro, Corvette, and the predecessor to the subject of today's review, the Chevy C/K pickup line. Though the Golden Bowtie has been building trucks for 100 years, the 1960 Chevrolet C/K models (C for two-wheel-drive, K for four-wheel-drive) were a huge step forward in designing a pickup as a true do-it-all vehicle rather than a work tool. It was the first truck to be offered with independent front suspension to make it easier to drive; the second generation saw the automaker blow up the options list like a factory-farm chicken (ultimately leading to the outlandish choices seen today); then Bob Seger sang "Like a Rock" over a montage of Americana, Chevrolet tossed the Silverado name onto the truck, and bada bing, it'd sold tens of millions of trucks. And it all culminates in the 2018 Chevrolet Silverado Centennial Edition. This is the last hurrah for the current generation of the truck, which sails off into the sunset later this year to make way for an all-new 2019 model that promises big changes to cope with the turbulent waters of the 21st Century. With strong fundamentals and an attractive trim package, the outgoing model's Centennial Edition shows—nay, celebrates—just how good Chevy is at making a 20th Century pickup. But surrounded by newer trucks, it also leaves you wondering: What comes next? The Centennial Edition package is available on the roughly-$50,000 Silverado LTZ Z71, the second-highest trim below the range-topping High Country. And for an additional $3,480, you can turn your new pickup truck into a Centennial, which brings with it a special Centennial Blue Metallic paint job, special "Heritage Bowtie" badges, chrome recovery hooks, and other special badging and trim pieces. It's really just an appearance package, but it makes for a handsome look. Here's something that's decidedly not retro: The 6.2-liter EcoTec3 (which is anything but "eco") V-8 engine under the hood. Putting out 420 horsepower and 460 pound-feet of torque, it will haul loads and butts in equal measure. It's also extraordinarily competent at lighting up the rear tires and will rocket this Chevy from 0 to 60 miles per hour in 5.7 seconds if you're so inclined. That engine is connected to an eight-speed automatic transmission, which rarely finds itself hunting for the right gear. Being a Z71, it also comes with a few off-road goodies, like Rancho Monotube shocks and an automatically-locking rear differential. 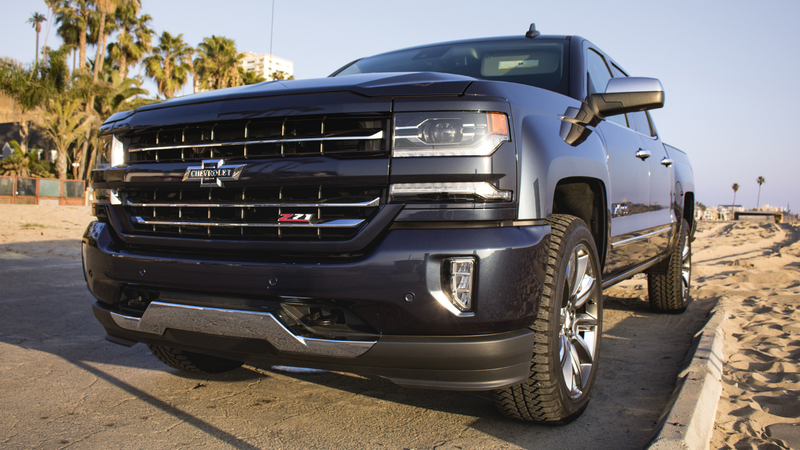 You don't need me to tell you it's a solid powertrain—there's a reason Chevy trucks are so ubiquitous—but it's worth reiterating how much the bigger engine livens things up compared with the 5.3-liter V-8 found on lesser Silverados, let alone the 4.3-liter V-6. 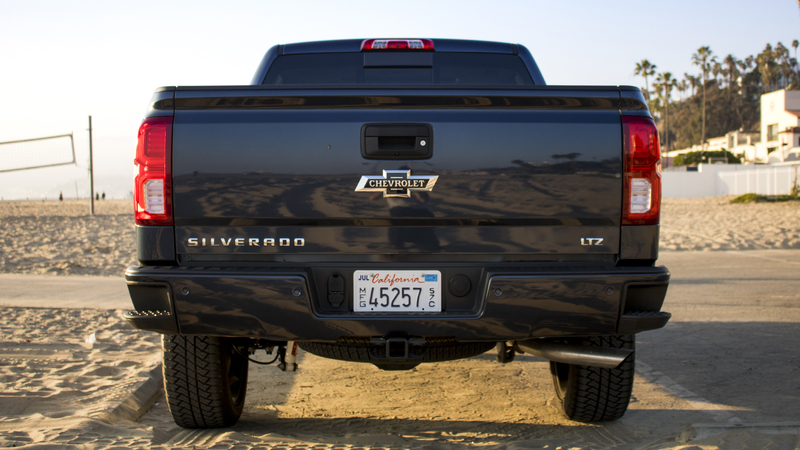 When it comes to the fundamentals, the Silverado is as competent a pickup platform as they come. The short bed and 22-inch wheels with chrome inserts on my tester aren't the most functional when it comes to doing all the work, but a truck is still a truck. To wit: I moved into a new apartment while testing this pickup, and you can bet the Chevy swallowed up more than half the contents of a one-bedroom apartment without breaking a sweat. The concept of capability is a powerful draw, and it's easy to see why pickups have kept Americans under a starry-eyed 100-year spell. With that in mind, Chevrolet trucks have always exuded a certain rugged nostalgia, and the experience behind the wheel of the Silverado Centennial Edition is still a bit of a time warp. The appearance package does nothing to the way the truck drives or functions; rather, it enhances the reassuring, familiar confidence that comes with refining a technique for a whole century. It doesn't bring you back to 1918—don't get the wrong idea—but this Silverado exudes a sense of timelessness. If you don't like what you see here, I have no counter to the fact that $3,500 is a fair chunk of change for less-than-useful wheels, a special paint job, and a few boutique badges. I do think Chevrolet missed an opportunity to do something a little more in-depth here, considering the significant anniversary—special seats, an all-chrome bumper, anything beyond a few cosmetic tweaks. It's true that these sorts of special editions can often end up being collectible down the line, but don't hold your breath. You will die. The next generation of pickup trucks will drive more like cars than ever before—just check out the new 2019 Ram 1500, which rides better than anything else in the class. Sitting behind the wheel of the Silverado, though, it's clear the Chevy is stuck firmly in the past. 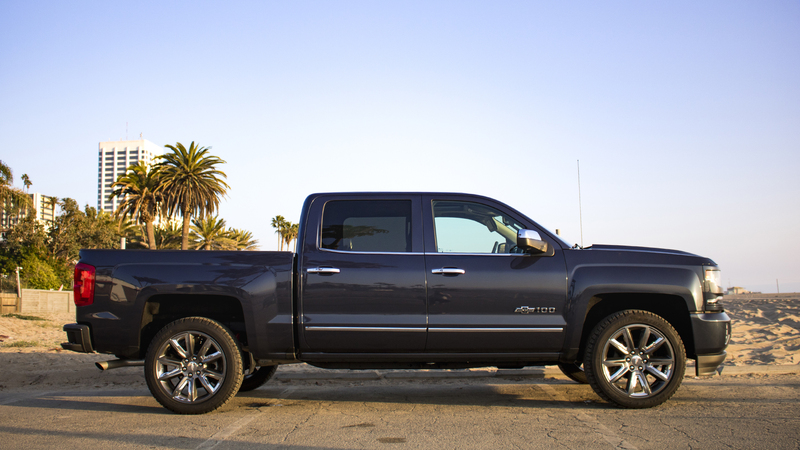 A truck doesn't have to handle like a Porsche (nor, arguably, should it) and Silverado acquits itself well most of the time. But it's notably unsettled over bumps; look for the 2019 Silverado to aim for a smoother experience. And therein lies the rub: With the next-generation model just around the corner, the Silverado Centennial Edition feels like a stopgap rather than a proper celebration. The interior, comforting as it is, looks a little dated compared to the competition, and for all its heritage, the Silverado's no longer best-in-class in key metrics like towing and payload capacities. In many ways, the Centennial feels like yesterday's truck of tomorrow. Yesterday was fine, don't get me wrong. But should we be looking backwards or forwards at this particular juncture? The world is a vastly different place than it was in 1918, when indoor plumbing wasn't a given and women still didn't have the right to vote. But just as we expect more from our homes and our politics than we did in the Wilson Administration, we also treat pickup trucks as far more than the humble tools they were originally intended to be. If Chevrolet produced a Centennial tribute truck to properly recreate the spirit of that 1918 One-Ton, it would have a single-row cab with an old bench for a seat, a flatbed, and absolutely zero options...and an equal number of buyers. So, sure—an appearance-only, special edition like this is something of a cash grab for an aging truck on its way out the door. At the same time, it's also a fitting tribute to the way we used to do things. A lot has changed in the last decade alone, and with pickup trucks normally seen as one of the more glacially-changing areas in the automotive market, the 2018 Silverado Centennial Edition encapsulates a time that's rapidly fading away. I don't mean that as a knock; as the owner of a 1988 K5 Blazer, I appreciate old-school charm as much as anyone. But compare this Silverado with the next-gen 2019 Ram 1500, for example, and the differences in interior design, mechanical features, and ride quality are stark. The latter is firmly of this decade, while the Chevy feels like it can't quite let go of the past. It's worth noting that the Silverado also lags the Ford F-150 in things like towing, acceleration, and fuel economy—all of which are likely to be addressed in the new model coming later this year. Listen, no Ford fanatic is going to read this and race down to the dealership to buy a truck that celebrates a hundred years of the company he or she detests, nor does the special edition package add anything to get a first-time pickup buyer off the fence. Instead, this Centennial Edition swan song is a medley of greatest hits and golden oldies designed to capture what made the first 100 years of Chevrolet trucks so solid. It's about history, rather than moving things forward in an appreciable way. So for anyone out there who's looking for a new Chevy to drive to the levee, it might be worth a second look.